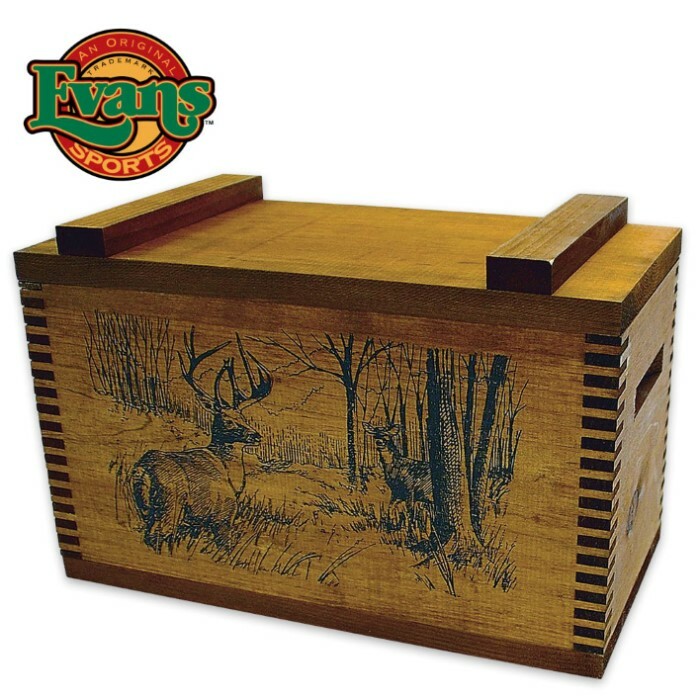 Wooden Standard Ammo Box - Deer | BUDK.com - Knives & Swords At The Lowest Prices! Ideal for ammunition, this handsome wooden box will be attractive décor for your home, office or cabin. The finely detailed box is made of solid native pine and features rugged hardware and finger-joint construction. A deer-themed design is on the front of the box and it is 16” x 8 1/4” x 10 1/2”.